Kinesiology tape (also kinesiotape or k tape) is an elastic therapeutic cotton tape with an hypoallergenic acrylic adhesive layer. Tape adhesion is affected by things such as the oiliness of the skin and ambient temperature but under most applications an adhesion time of 3 to 7 days can be relied upon. All THYSOL manufactured kinesiology tapes are water resistant. CureTape® kinesiology tape is now available in Australia through THYSOL’s online shop. As one of the foundation companies THYSOL introduced kinesiology taping to the medical market in Europe. CureTape® kinesiology tape is produced in our own factory in Korea and meets the highest quality standards. 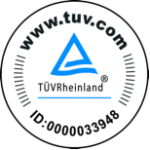 CureTape® is registered as a Class 1 medical product and is annually tested by TUV Rhineland. 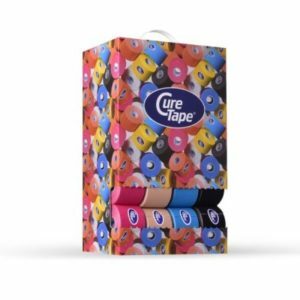 CureTape® mimics the properties of the skin in terms of its elasticity and thickness.